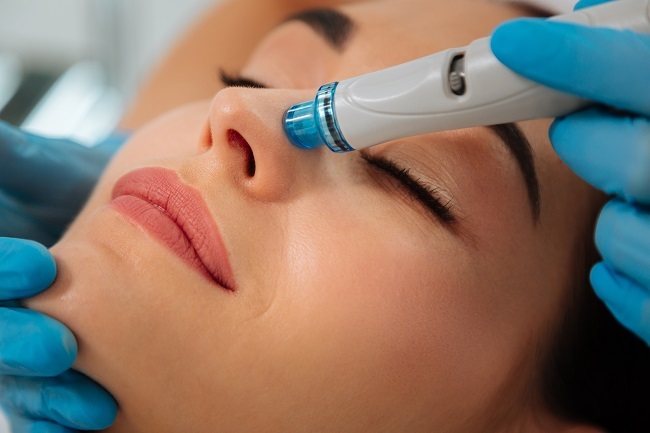 If you are ready to take your complexion to the next level through experienced professional care, you have probably read about the Hydrafacial treatment. In a nutshell, it is a multi-step and multi-purpose treatment that can be customized for almost any skin type. The results usually include exfoliation, extractions, deep nourishment, and overall rejuvenation for your complexion. If you have done your research, and are ready to give this amazing treatment a try, you certainly want to make the most of your time and financial commitment. Here are a few tips on preparing your skin for the treatment as well as getting the most out of your results! Avoid the use of any self-tanning products. You certainly do not want the treatment itself to undo any tanning products that you have just applied. And we always recommend to avoid sunbathing itself! Avoid the use of any aggressive masks or scrubs. The procedure does utilize exfoliation and extractions during the process and you want to make sure your skin is not too disrupted in advance of the session. Do not get any inject-able treatments such as Botox. While the Hydrafacial treatment can do wonders to maximize the effects of your Botox or Juvederm injections, it is best to space all of your treatments out just a little bit. Discontinue any use of prescription-strength treatment products such as Retin A. Same as avoiding the masks or scrubs, it is best to make sure your skin is not too fragile ahead of the treatment. Do not start any new skincare regimens or products. You never know how your skin will react to a new product, and you want to make sure you enjoy your relaxing treatment. For male clients in particular, if you choose to shave the day of your appointment, make sure that it is at least three to four hours in advance. Sunscreen. Sunscreen. Sunscreen. If you were not wearing it on a daily basis before your treatment, build it into your daily routine afterwards. From now on! You want to maintain that glowing complexion for as long as possible, and protecting the new fresh skin is paramount to that. Depending on your skin, stick with a simple skin care routine until you determine how your skin has reacted to the treatment. Yes, the process is gentle but everyone’s skin will react a little differently. Since one component of the Hydrafacial is exfoliation, you might want to avoid the use of other exfoliators for approximately a week, depending on how often you normally exfoliate. To avoid unnecessary and unexpected sensitivity, avoid extremely hot showers or saunas for approximately twenty-four hours after your treatment. Luckily, for most people there is very little downtime or recovery time, so you are able to apply makeup and resume normal activities the same day. Have we mentioned sunscreen? For all of the benefits you will be receiving from your Hydrafacial, do not undo those results with unnecessary sun exposure! No matter what your daily skin regime is, it can always use a boost! The Hydrafacial is an excellent professional treatment to consider because of the lack of downtime as well as the multi-faceted results. It can even be customized for acne, hyper-pigmentation (brown spots), anti-aging, and rosacea. Your skincare professional would be more than happy to sit down with you and discuss how your complexion can benefit from the Hydrafacial as well as how the treatment itself can be customized for your skincare goals. Please visit Shelley’s Hair and Spa or contact us when you are ready to book your appointment!